The return of the Gateway Fight League, and a Combatives Tournament fill up a busy weekend in St. Louis. Kicking things off Saturday morning is the Missouri National Guard Combatives Tournament. This event features Guardsmen from all over the state competing in eight different weight divisions; the top two in each division qualify for the National tournament in late March. Members of "Team Missouri" will spend two weeks training full time with Coach Mike Rogers of St. Charles MMA. We spoke with Staff Sgt Jason Powell about the event. "The defining characteristic of a warrior is the willingness to close with the enemy. 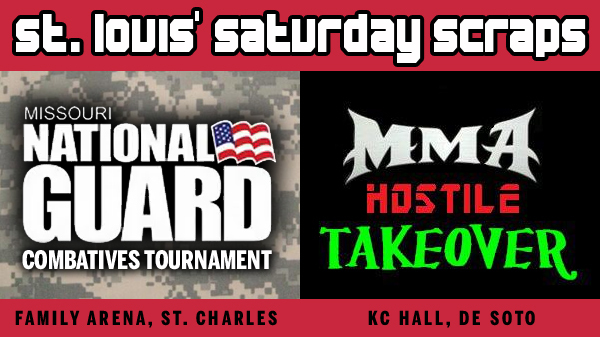 This weekend is the All MO Guard Combatives tournament. National Guard Soldiers from all over the state of MO wil be competing in 7 differant weight classes. The first round is all grappling no strikes, 2nd tier of the competition will be pankration rules. Slaps to the face are allowed as well as kicks and knees. The top two Soldiers in each weight class will make up the MO Guard Combatives team that will compete at the All Guard Combatives Tournament at Fort Benning, GA on the 3rd week of March. 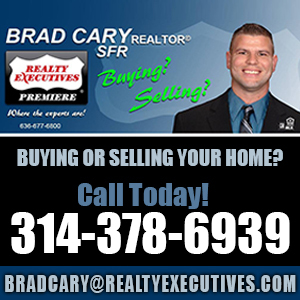 St Charles MMA head coach Mike Rogers will be coaching the team to victory in GA. The winners of this tournament will spend two weeks training full time with Coach Rogers. This a great opportunity for these warriors." On Saturday night in De Soto, the Gateway Fight League returns to the Knights of Columbus Hall for MMA Hostile Takeover. Fifteen fights on the card headlined by a grudge match for the lightweight title between James Mottershead and Mike Green. A fight that is a year in the making has spawned a war of words on the social networks. If the build-up is any indication, this fight should be exciting. Also fighting for a Hostile Takeover belt is Spire's #9 ranked Bantamweight, Josh Crouch. He will be taking on Ronny "The Boss" Harper who is looking to rebound after a loss to rival Daniel Baynton at Nemesis Fighting Alliance, two weeks ago.